Multiple sclerosis (MS) is a chronic, degenerative disease of the nerves in your brain and spinal column, caused through a demyelization process. Myelin is the insulating, waxy substance around the nerves in your central nervous system. In the video below, Dr. Terry Wahls tells the inspiring story of how she reversed multiple sclerosis after seven years of deterioration on the best conventional treatments available — simply by changing her diet! Through her research into MS, Dr. Wahls discovered that, for some unknown reason, in addition to the commonly known symptoms, MS patients’ brains also tend to shrink. This roused her curiosity, and led her to research other diseases that have similar brain shrinkage, namely Huntington’s, Parkinson’s and Alzheimer’s Disease. One common denominator is poorly functioning mitochondria. Mitochondria are like little ‘batteries’ in your cells that manage the energy supply to the cell, and unless you consume the correct nutrients, eventual mitochondrial malfunction is the obvious result. Just by adding those three to her diet, her decline began to slow. But she wasn’t improving, so she continued sleuthing through the medical research in search for an answer. When she discovered the Institute for Functional Medicine, Dr. Wahl began to find more clues. Furthermore, the neurotransmitters in your brain need sulfur and B6 for optimal functioning. Eventually, Dr. Wahls designed her own eating plan, based on the nutrients she now knew she needed for optimal mitochondrial, myelin, and neurotransmitter function, because while your body can create some nutrients, others must be provided through your diet. The majority of Americans eat high amounts of processed foods, which are loaded with high fructose corn syrup, grains, and harmful chemical additives of all kinds, such as MSG, and artificial sweeteners like aspartame. Unfortunately, this kind of diet is a near-foolproof prescription for chronic disease… Not only are you getting lots of what you don’t need, you’re quite simply not getting enough real nutrients! While two-thirds of American adults are now either overweight or obese, many if not most of them are also, simultaneously, malnourished. According to the graph shown during Dr. Wahls speech, less than half of all Americans get enough vitamin B6 and magnesium in their diet. More than 70 percent do not get sufficient amounts of iodine, and a whopping 80 percent do not get enough omega-3 fat from their diet. This, by the way, is why animal-based omega-3 is one of the few supplements I recommend to virtually everyone. In comparison, ancient peoples and natives around the world who have not significantly altered their diet over time, consume anywhere between two-fold to 10-fold the amount of today’s recommended daily allowances (RDA) of nutrients! She eliminated processed foods, grains, and starches (which includes potatoes and corn). Amazingly, she began to notice significant improvement in just three months, and at the nine-month mark of her new diet, she was able to go on an 18-mile bike ride! This is astounding when you consider that over the past seven years her condition had deteriorated to the point that she had to sit in a reclined zero-gravity chair and could only walk short distances using two canes. That is the power of nutrition! I’d like to add a few suggestions though. Two factors in particular that can have a profound impact are vitamin D and artificial sweeteners such as aspartame. Vitamin D deficiency can play an important role in MS, and aspartame toxicity has been known to mimic diseases such as MS, so addressing these two items should be at the top of your list—in addition to improving your diet, of course; not in lieu of dietary changes. Optimizing your vitamin D levels, which is one of the best things you can do for your health in general, is also one of the best preventive strategies against autoimmune diseases like MS.
A large number of studies have confirmed that your risk of MS increases the farther away you live from the equator. In fact, a lack of sunlight was identified as a risk factor for MS as early as 1922. Within the United States, your risk of developing MS roughly doubles if you spend your childhood—up to the age of 15—in northern states than if you live in the south. Another previously established risk factor is the Epstein-Barr virus, which causes glandular fever. Over a decade ago, German researchers demonstrated the association between EBV and MS, showing that in contrast to control populations, 100 percent of MS patients had antibodies against EBV! The authors suggested that EBV might play an indirect role in MS as an activator of the underlying disease process. In one recent study, published in the journal Neurology, researchers assessed the relationship between ultraviolet B radiation (UVB) and Epstein-Barr virus (EBV) exposure in British MS patients. Using English national Hospital Episode Statistics, they obtained the prevalence of MS and infectious mononucleosis (caused by the Epstein-Barr virus) during the seven-year period from 1998 to 2005. The UVB intensity data was collected from the US National Aeronautics and Space Administration. After evaluating the relationships between these three variables: MS prevalence, Epstein-Barr virus prevalence, and UVB intensity, they found that UVB exposure alone could explain 61 percent of the variations of MS cases across England. When they combined UVB exposure and incidence of glandular fever, 72 percent of the variations could be explained. Ideally, you’ll want to optimize your vitamin D levels by getting regular sun exposure (either outdoors or using a safe tanning bed) as your skin also creates vitamin D sulfate, which is water soluble and can travel freely throughout your body. As Dr. Wahls mentions, sulfur is one of the essential nutrients missing in MS, and according to research by Dr. Stephanie Seneff, vitamin D supplements are unlikely to provide the identical benefits that you get when exposing large amounts of skin to the sun, as oral vitamin D supplements are unsulfated. Still, studies using oral vitamin D supplements have had positive results, so if you don’t have access to regular sun exposure, taking a supplement would definitely be wise. One such study, published in 2004, found that women who took vitamin D-containing multivitamin supplements were 40 percent less likely to develop MS than women who did not supplement. Keep in mind that this study was based on FAR lower vitamin D dosages than what we now know are needed, so if you optimize your levels, you’re likely to reduce your risk by more than 40 percent. From my point of view, there’s simply no question that one of the most important physical steps you can take to control your health is to make sure your vitamin D levels are optimized to between 50-70 ng/ml year-round for general health, and between 70-100 ng/ml when treating autoimmune diseases such as MS, heart disease, or cancer. As for dosage, if you’re taking an oral supplement, it’s important to understand that there’s no dosage at which “magic” happens. The most important factor is your serum level, so you’ll want to get your level measured regularly to determine if you need to take more or less than the general recommendation to stay within the optimal range. That said, based on the most recent research by GrassrootsHealth—an organization that has greatly contributed to the current knowledge on vitamin D through their D* Action Study—it appears as though most adults need about 8,000 IU’s of vitamin D a day. According to some experts, such as Dr. Russell Blaylock, a professor of neurosurgery at the Medical University of Mississippi, the damage caused by ingesting excessive amounts of aspartic acid from aspartame can cause serious chronic neurological disorders and a myriad of other acute symptoms. Aspartic acid is an amino acid. Taken in its free form (unbound to proteins) it significantly raises the blood plasma level of aspartate and glutamate. 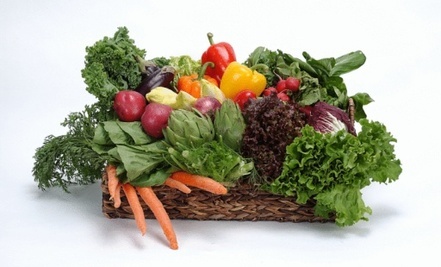 Dr. Wahls mentions the importance of antioxidants for proper cell- and brain function. The aspartate and glutamate in aspartame have the opposite impact. Too much aspartate or glutamate in your brain kills certain neurons by allowing the influx of too much calcium into the cells. This influx triggers excessive amounts of free radicals, which kill the cells. This is why aspartate and glutamate are referred to as “excitotoxins,” as they “excite” or stimulate your neural cells to death. Aspartame also rapidly metabolizes to methanol, another potent neurotoxin. It is my strong recommendation to not use these drugs, as they are some of the most toxic drugs used in the field of medicine. Dr. Wahls is a poster-child for the complete lack of benefit gleaned from such drug treatments, and the profound healing that can be achieved using nutrition, and her dietary recommendations are spot-on. Below is a summary of my lifestyle recommendations for MS. Many are identical to the general-health principles I’ve been teaching for years, but a few stand out as being specifically applicable to the treatment of autoimmune diseases such as MS.
Optimize your vitamin D levels – This is an essential step, and while the optimal level for general health lies between 50-70 ng/ml, when treating diseases such as cancer, heart disease, or autoimmune diseases, your level should ideally be somewhere between 70-100 ng/ml. The preferred method to raise (and maintain) your vitamin D levels is by regularly exposing large amounts of your skin to sunshine, or by using a safe tanning bed. If neither is available, you can use an oral supplement of vitamin D3. As a general guideline, vitamin D experts recommend 8,000 IU’s per day for adults, and about 35 IU’s per pound for children, but you should take as much as is necessary to elevate and maintain your blood levels within the optimal range. Get plenty of animal-based omega-3 fats – Secondly, make sure you’re getting a good supply of animal-based omega-3 fats, such as krill oil. You also need to avoid damaged, processed fats found in most all processed foods. Especially damaging are the omega-6 fats found in soy-, canola-, and corn oil. These are usually highly oxidized and also contain trans fats and cyclic fats that imbed themselves into your cell membranes, distorting the cellular functions. The majority of these three oils are also genetically engineered, which can have its own set of health ramifications. Eliminate sugar, particularly fructose – Another crucial element is to eliminate as much sugar and fructose as possible from your diet. Cutting out processed foods and sweetened beverages will go a long way to reduce excess fructose, in addition to eliminating the majority of damaging fats in your diet. You simply must keep your daily total fructose intake below 25 grams. If you haven’t yet grasped the toxic nature and profound health dangers of fructose, now’s the time to get with it. Sugar can contribute to the development of a number of autoimmune diseases, such as arthritis, asthma, and multiple sclerosis. It also increases uric acid levels, which leads to chronic, low-level inflammation, which has far-reaching consequences for your health. Eliminate pasteurized milk and dairy—This is another critical element. Studies have shown that cow’s milk consumption is correlated with MS prevalence (Neuroepidemiology 1992;11:304-12, and Neuroepidemiology 1993;12:15-27). Eat plenty of raw food – This is an important principle for optimal health that I normally recommend for everyone. However, I’ve found that for people with severe autoimmune disease, it’s even more important. Some of the most dramatic improvements we’ve seen in patients using nutritional changes have come about as the result of eating a majority of their food raw instead of cooked. Fermented Vegetables. Optimizing your gut bacteria may be one of the most profound ways to improve your health. In the near future I will be doing a large number of interviews with Dr. Natasha Campbell McBride that goes into great detail on how to implement these valuable foods and many other details of recovery. Check your iron levels-- Excess iron can cause damage to the endothelium, the inner lining of blood vessels as well as create massive amounts of free radicals. It can also damage your DNA. Therefore, if you have MS it is very important to check your blood for iron overload, a process that is easily done through a simple blood test called a serum ferritin test. The healthy range of serum ferritin lies between 20 and 80 ng/ml. Below 20, you are iron deficient, and above 80, you have an iron surplus. Ferritin levels can go really high. I’ve seen levels over 1,000, but anything over 80 is likely going to be a problem. The ideal range is between 40-60 ng/ml. If you find that your iron levels are high, simply donate your blood. Normally a person would require 1-3 blood draws per year, up to as many as one per month if your system can tolerate it, until your ferritin levels have been sufficiently lowered. Low-dose Naltrexone and alpha lipoic acid – One of the newer treatment strategies for MS is low dose Naltrexone (LDN), along with alpha lipoic acid. Naltrexone (generic name) is a pharmacologically active opioid antagonist, conventionally used to treat drug- and alcohol addiction – normally at doses of 50mg to 300mg. As such, it’s been an FDA approved drug for over two decades. However, at very low dosages (3 to 4.5 mg), naltrexone has immunomodulating properties that may be able to successfully treat cancer malignancies and a wide range of autoimmune diseases, including multiple sclerosis. As explained on the informative website www.lowdosenaltrexone.org, when you take LDN at bedtime — which blocks your opioid receptors for a few hours in the middle of the night — it is believed to up-regulate vital elements of your immune system by increasing your body’s production of metenkephalin and endorphins (your natural opioids), hence improving immune function. Dr. Bert Berkson is an expert on this regimen. For more information about his findings and successes using this combination, please review this previous article. Mercury detox – Mercury is clearly a neurotoxic poison that should be avoided, so avoiding fish and refusing or removing mercury dental amalgams are also important aspects. Certain supplements can also help eliminate mercury from your system, such as chlorella, and OSR (Oxidative Stress Reliever) developed by Dr. Boyd Haley. Address early childhood emotional traumas—Last but certainly not least, in my experience with MS patients, there is nearly always a precipitating traumatic emotional event that causes your immune system to crash, leading to the disease. Just as vitamin D deficiency seems to be present in most cases of autoimmune disease, there is also typically an emotional element involved. More often than not, some form of hidden emotional wound can be found in patients suffering with autoimmune diseases like MS. Typically, this wounding occurred at a very young age, almost always before the age of seven; often before the age of five. Issues related to this event need to be addressed by using an effective energy psychology tool like the Emotional Freedom Technique (EFT), but only with the help of an experienced practitioner. I was diagnosed with MS in 2009 at the age of 51. I woke up one morning with numbness in my lower back and right leg. This was on a Thursday. By the weekend I was totally numb from the waist down. I couldn't feel my feet touching the floor. I saw my doctor on Monday and had an MRI to see if I had a disc problem. It was negative and she told me she feared MS. I was sent to a neurologist, had two more MRIs, and was told that night that I have four lesions on my spine â MS. I did the steroid treatments for few years but it all made me sick,so i was ask to try a herbal formula which i order from TOTAL CURE HERBAL FOUNDATION. Kindly email totalcureherbalfoundation@gmail.com to start getting rid of Multiple Sclerosis (MS). Cannabinoids may halt the progression of certain Neurodegenerative Diseases, such as Alzheimer's, ALS, Multiple Sclerosis, and Parkinson's.